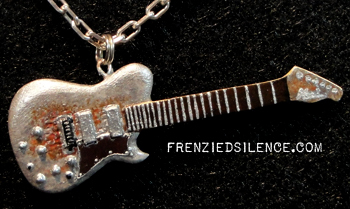 I had a few requests to make Matt Bellamy’s WarChild charity auction guitar into a necklace. And I posted it on Twitter and things kind of exploded. heh! 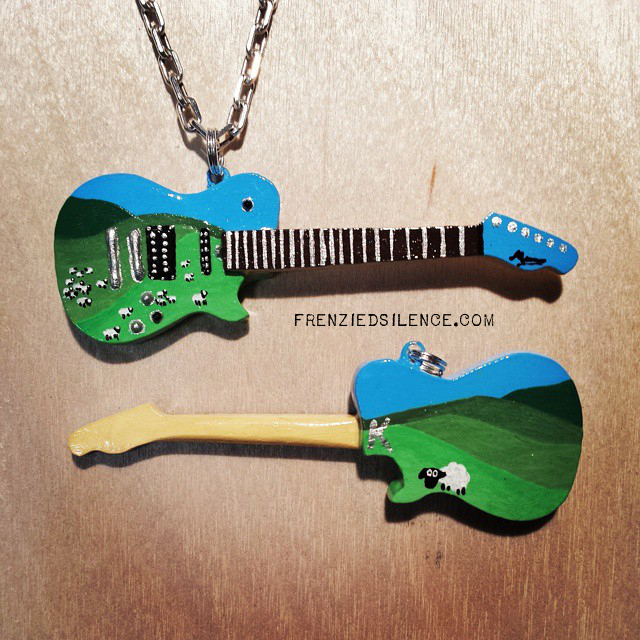 I have added this pendant to my Etsy shop, and I will make them as they are ordered – please allow up to three weeks for me to create the tiny guitar and mail it out. This one is quite difficult to paint. Each pendant is $40US – with half going to WarChild in honour of Matt’s contribution, and the other half covering my own costs and shipping. Posted in Charity, Crafty | Comments Off on SHEEP! 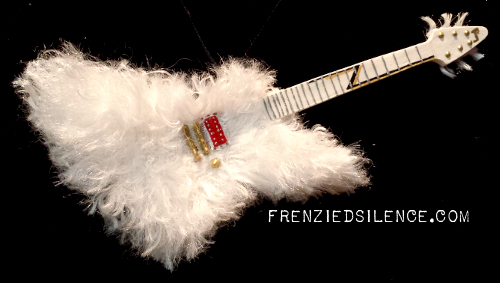 This is by far the silliest guitar I have yet miniaturized. It was a Christmas gift for my mother. This is ornament size, about 4 inches long. 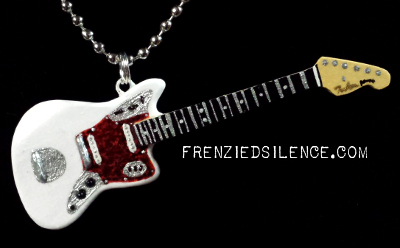 I have had Andy MacFarlane’s beautiful white Jaguar on my business cards for a year now, and The Twilight Sad knew it, but I wasn’t able to send them that pendant until last week. 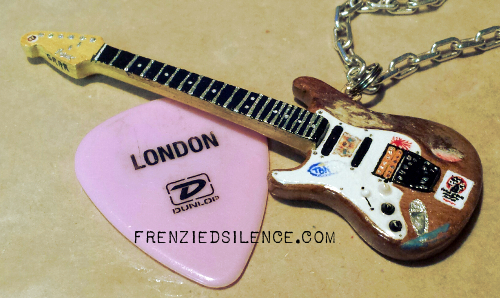 A guitar that Matt Bellamy of Muse had custom built some years ago, but then never used in any public appearance. 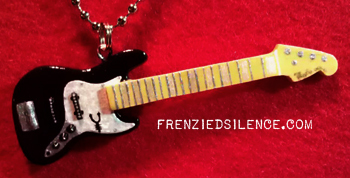 New pendant, made for a friend: Geddy Lee’s black Jazz Bass, with engraved pick guard, as seen in the Time Machine era.